Does this Cat make my Log Burner look Big? Somerset Arts Weeks is over, and we can relax, and stop purring at the general public…. 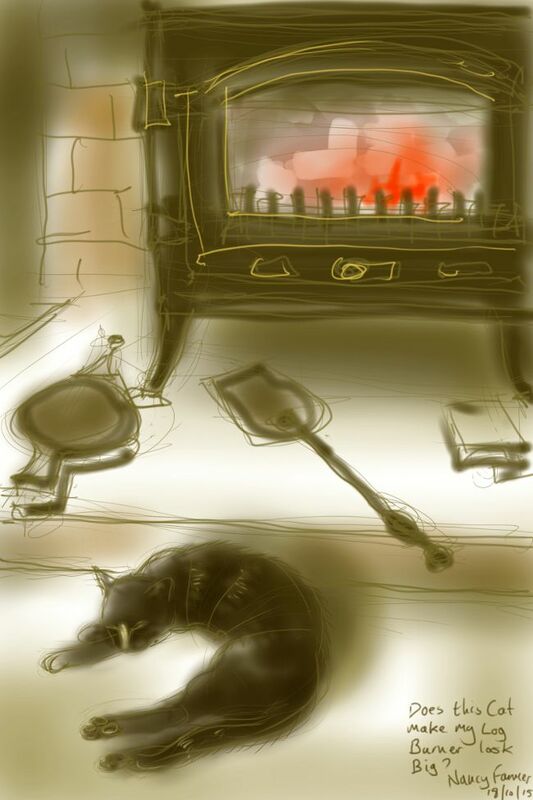 This entry was posted in Cats and tagged art, cat sleeping, drawing, Freyja Cat, illustration on October 18, 2015 by Nancy Farmer.